An Alien Stress Ball imprinted with your logo will make your clients smile as they squeeze away their stress. 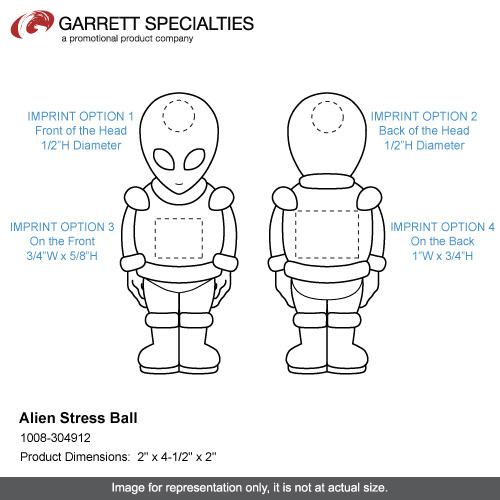 Provide out-of-this-world relief to your customers with this alien shaped stress reliever!With an overall size of 2" x 4 1/2" x 2", customize this item with your company logo or message for maximum brand awareness. This product is not intended for children under three years old or for pets. 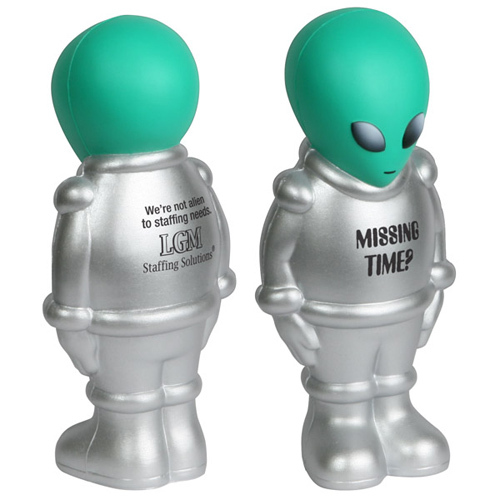 Ideal for trade shows and conventions, recipients will travel from across the universe just to get their hands on one of these alien stress toys! 2" x 4-1/2" x 2"
Bulk / 25 lbs / 400 pcs. / 22x15x14box.